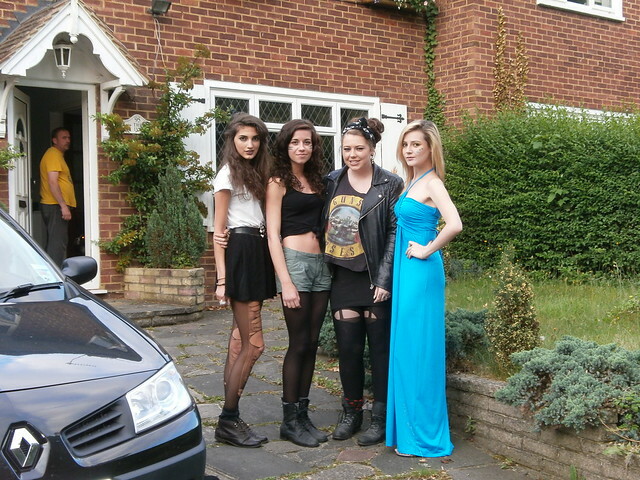 1) Chloe, Alice, Laura & Me. 2) Laura, Chloe & Me. 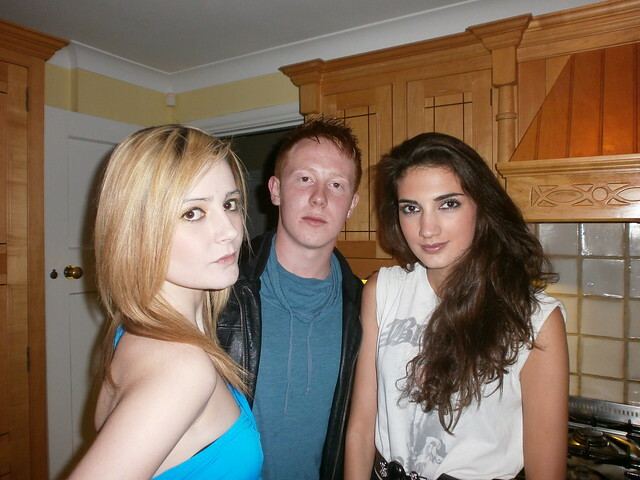 3) Me, Gareth & Chloe. 4) Abby & Me. 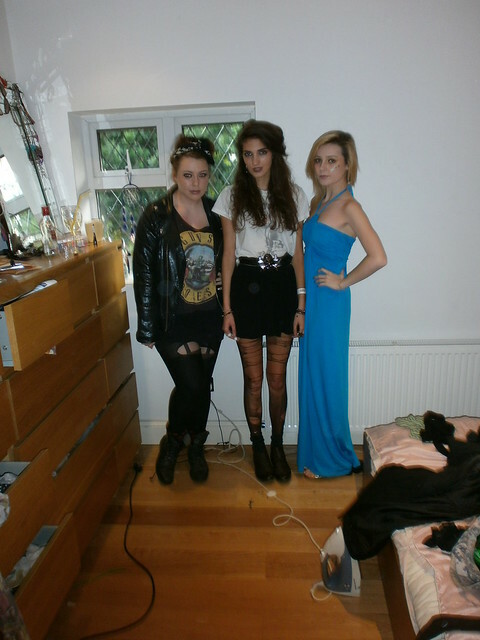 5) Louise, Me & Chloe. This was a friends 18th Party. We had the option of getting dressed up and the four of us in the first picture decided we would, just becauese we felt like it. Yeaaah, we ended up being the only four that did, but ohwell, at least it showed we're not boring i suppose. 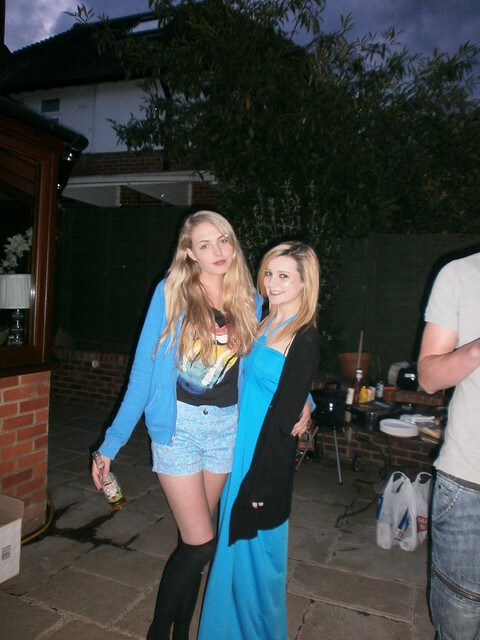 Get rid of the makeup we were wearing and i suppose we looked more or less normal haha. It was a good night though, got to see some friends i hadn't seen in a long time and have a good catchup and just have a general laugh which i needed. My friend, Mikey who's birthday it was, really enjoyed himself which is all that matters, i'm glad he had a good time! Everytime i try and have a good time, i always end up hurt. Note to self, don't wear a maxi dress after having a couple drinks. Yes, i was meant to get a cab home, but my leg felt fine and everyone just started walking, so i did too. But yesh, while walking up the curb i got my feet tangled in the dress and hit the floor and hurt my leg. So yes, i spent the evening drugged up on painkillers and in pain. Beautiful. It's so annoying, because it's like i can't have a good time without getting hurt. So my plan before i go on holiday is to strengthen my leg up because all this falling is just getting ridiculous. I'm such a disaster dammit. 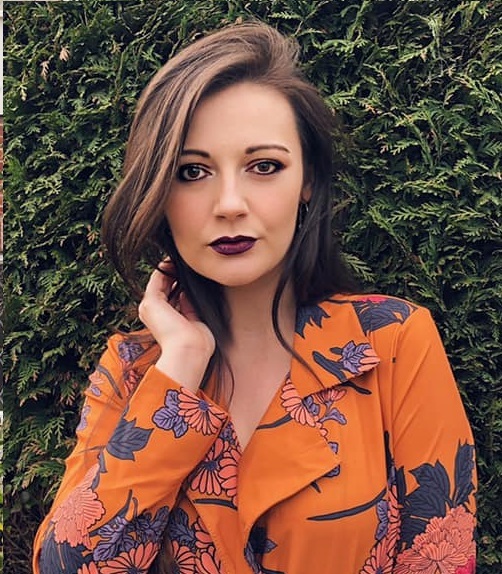 This dress is something i purchased from a store called Select, refused to buy a black one, i need some colour in my wardrobe, perfect for the summer i'm thinking. I love the Aqua/Turquoise colour! I bought this dress that i wanted, and it will definately get it's moneys worth. I told myself i wasn't allowed to buy one that was black and it had to be a bit different to something i'd usually buy or previously own. I found this dress from Miss Selfridge and tried it on... and yes i fell in love with it, which suprised me. Due to my pale complexion i didn't think the red colour would suit me, but suprisingly it did and i knew i had to have it. I plan to wear this with a pair of black heels and a black clutch on friday to a friends party. I will most likely use a light form of fake tan too for confidence. My wardrobe needs more colour in it desperately! Looking lovely. The colour suits you perfectly. I always trip in my maxis too!